Overtime can be tricky. Do you get overtime based on how many hours you work in a week or in a day? What if you work hours off the clock? 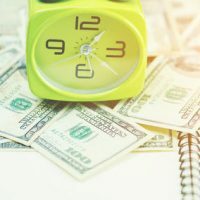 Commonly, the confusion stems as overtime laws can vary from state to state and like any attorney may tell you when you ask about general laws regarding overtime pay for employees: it depends. Luckily, in Florida,the basic idea of overtime pay is fairly straightforward because it stems from federal law (the Fair Labor Standards Act). Covered employers must pay certain employees one-and-a-half times their normal wage for any hours worked in excess of 40 for a given workweek. To be clear, it is not against the law for an employer to require an employee to work more than 40 hours, only that such excess hours must be compensated at the overtime rate. But where it gets complicated is when we are looking at which employers are subject to overtime law and which employees are entitled to overtime pay. Not everyone working in the State of Florida is legally eligible for overtime pay and not every employer is required to pay overtime. The Fair Labor Standards Act (FLSA), which governs overtime rules, defines which employers and employees are covered. With respect to employers, a private business must be classified as an “enterprise”–a company that does at least $500,000 in business annually and have employees are “engaged in commerce or in the production of goods for” interstate commerce. For example, a person who works on a factory line, which does more than $500,000 in gross annual revenue and that ships goods outside of Florida would qualify as someone engaged in interstate commerce. Some courts have found that employees working for employers making $500,000 in gross annual revenue and having significant contact with individuals outside of Florida qualifies – like if your job requires you to regularly order goods or services outside of Florida and communicate with those vendors. This determination is typically fact intensive and decided on a case-by-case analysis. But even where the employer itself is covered by the FLSA, certain employees may still be considered “exempt” from the law’s protections and therefore not entitled to overtime pay, regardless of the number of hours worked. The most common categories of exempt workers are “executive, administrative, and professional” employees (but has other categories, as well). These are basically individuals who work on salary, make at least $455 per week, and perform non-manual labor. Importantly, just because an employee is paid a salary does not mean that they are not entitled to overtime. The employees must made the threshold amount of salary and perform work covered in one of the exempt categories. What Time is Considered Overtime? As noted above, overtime is based on the total number of hours worked in a given 7-day period. It is not tied to weekends or holidays. In other words, your employer does not have to pay you overtime for making you work Sundays, if that means that you are still working less than 40 hours in the week. Nor is overtime based on the number of hours worked in a particular day. So even if you work 10 hours on a Friday, you are not entitled to overtime just because you worked more than the normal, 8-hour workday. Overtime only applies if you work more than 40 hours during the entire workweek. Keep in mind, once you are eligible for overtime, your employer cannot ask you to “waive” your rights, even if you are asked to sign a release. For example, if your boss offers to give you a raise if you do not claim overtime hours, that is potentially illegal. Under the FLSA, an employer cannot ignore overtime rules, even if the employee agrees. If you have additional questions or concerns about how federal overtime rules apply to your job, you should contact an experienced Florida wage and hour law attorney right away.